Glebe Cottage is a traditional, character cottage of historic interest located in the village of Sutton Mandeville on the Wiltshire/Dorset border. The cottage is approached via a long, gravel drive, giving a degree of seclusion and remoteness. 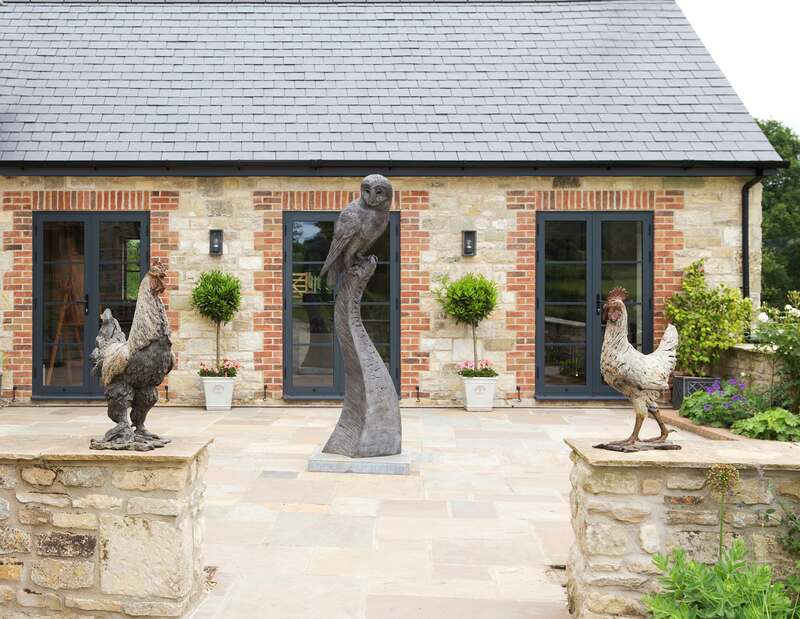 Richmond Bell Architects were commissioned to design the conversion of the existing barn and integrate it into the ground floor accommodation of the house. The downstairs was reconfigured to enhance the current living layout while an extra bedroom was created on the first floor. 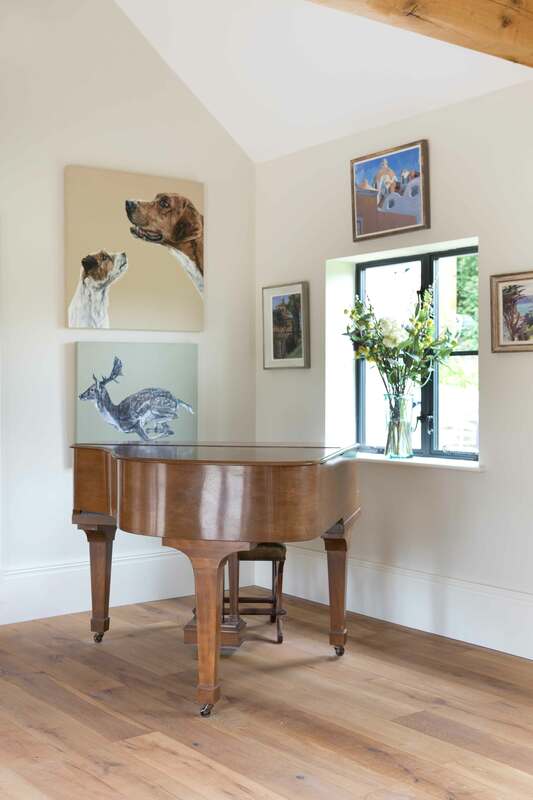 The family required a formal entertaining space to be occasionally utilised as an art gallery. 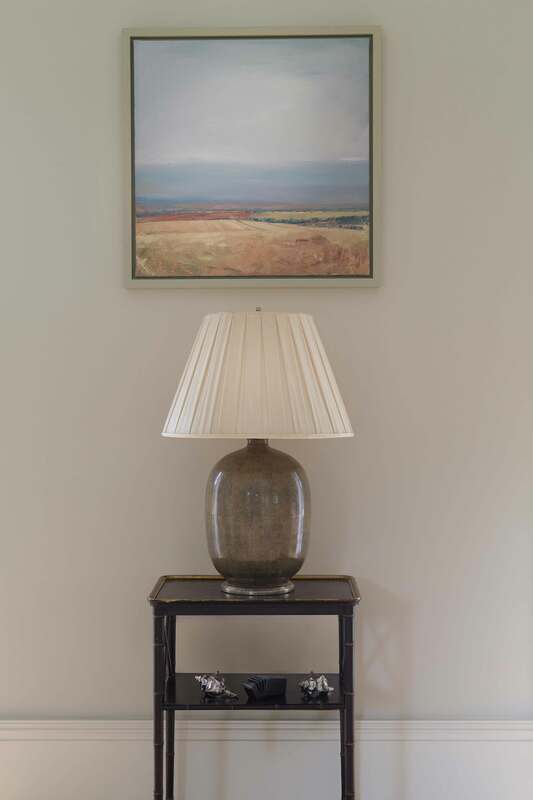 This area is growing rapidly as an art destination therefore, our brief had a specific requirement to capture a multi-functional room that was both light and airy, as well as characterful. The idea was to create a relaxed environment for art enthusiasts to view paintings, sculpture and mixed media from a variety of local and national artists. 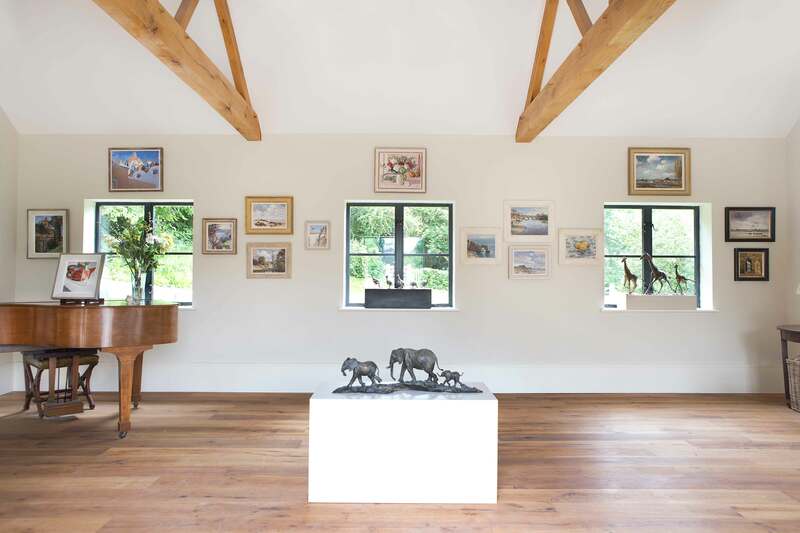 The Glebe Gallery has a vaulted ceiling with exposed oak trusses. 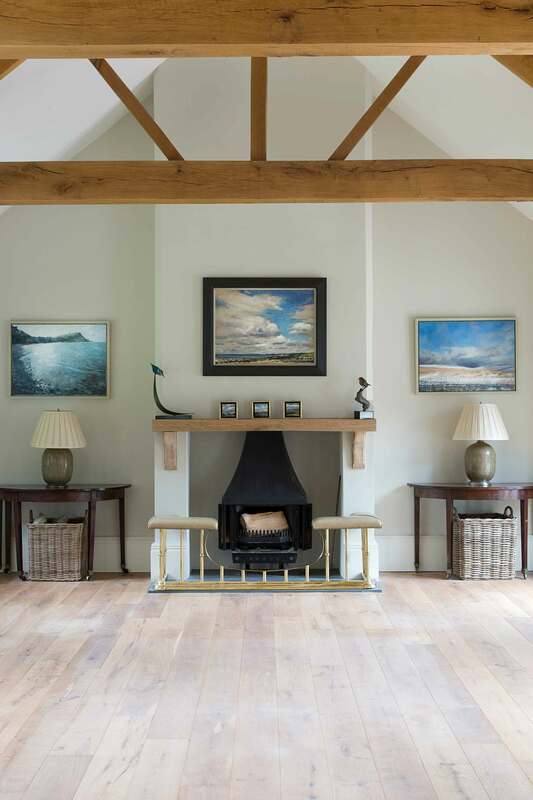 A traditional log burner sits within a large, open fireplace on a slate hearth giving the room a focal point and warmth during the cooler months. Externally, the extension is built from a combination of reclaimed stone and brickwork, in keeping with the existing cottage. Aluminium casement windows and doors surround the barn, framing the landscape views while opening onto a large paved courtyard area for the family to enjoy. The contemporary art exhibitions are held twice a year at Glebe Gallery.